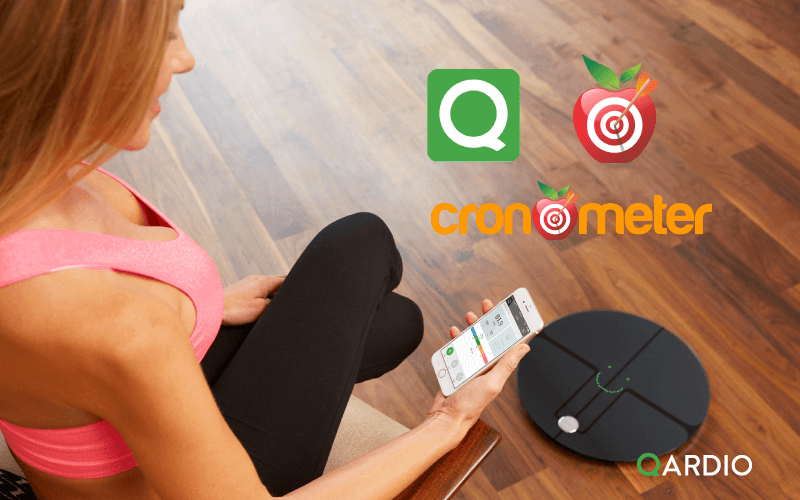 Qardio has partnered with Cronometer mobile and online health platform to integrate Qardio’s smart scale and body analyzer, QardioBase, and wireless blood pressure monitor, QardioArm. Together, the two companies will work to help users achieve weight goals by allowing them to track how their diet affects their weight, body composition, and blood pressure, creating a powerful health and fitness tool. QardioBase is an award-winning smart scale that automatically measures a user’s weight, body mass index and body composition, including muscle, fat, water and bone percentage. It features unique modes that tailor to the user’s need such as Smart Feedback Mode that replaces numbers with smiling face designs. This motivational mode is perfect for users who want to focus on their progress without seeing their daily weight fluctuations on their health journey. QardioArm blood pressure monitor is clinically validated to give you a medically precise reading anytime, anywhere. It displays your results on a color-coded WHO chart so you know what your numbers actually mean. A cleverly designed cuff makes QardioArm compact and portable – so you can take a measurement anywhere. Share your data to keep your doctor informed between visits and let your family know you’re doing well. Cronometer is a leading web and mobile application for tracking nutrition and health data. Cronometer is an invaluable resource for not just those looking to achieve weight loss through a calorie reduced diet, but users who are interested in maintaining and improving their overall health. The platform places importance on this being done in a healthy manner – with an emphasis on micronutrients as well as macronutrients. Once you connect Cronometer to your Qardio App, all future QardioBase weight measurements and QardioArm blood pressure measurements will be automatically sent to Cronometer to give users immediate insights. For more information on Cronometer, please visit: https://www.cronometer.com.